The kitchen project is moving along...slowly...but moving. As you know we replaced the old chandelier with one I had purchased at ReStore for a mere $15. 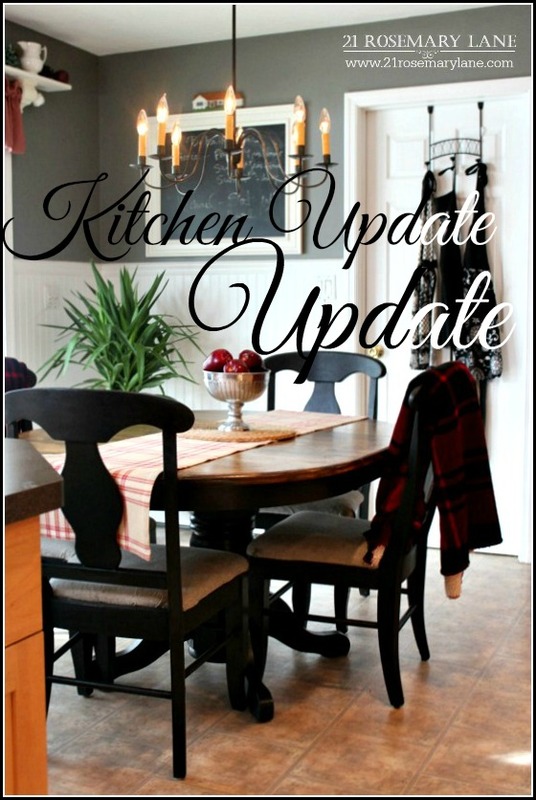 The bead board and new paint have been on the walls for almost 2 months, so now it is time to get Mr. Rosemary Lane moving on the kitchen island project. 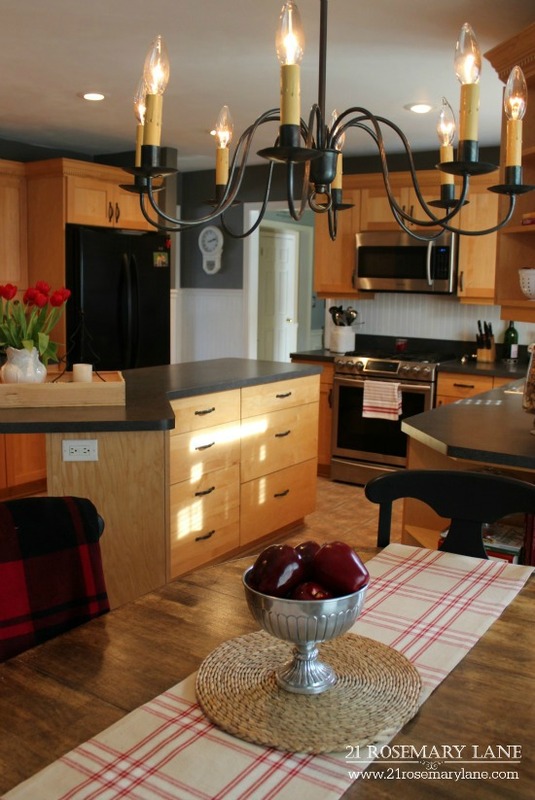 The island is rather large which is nice, however it is also finished in the same wood as the rest of the cabinets, which to me seems a bit monotonous. So I would like to change the island's look. It would also be nice to incorporate a couple of lantern style lights over the island to fill up all that open space and add visual interest to the room. Here is the before and after of our room as you would see it entering from the dining room. I think the gray adds a bit of sophistication to this space. But like I said...the island is visually very boring! 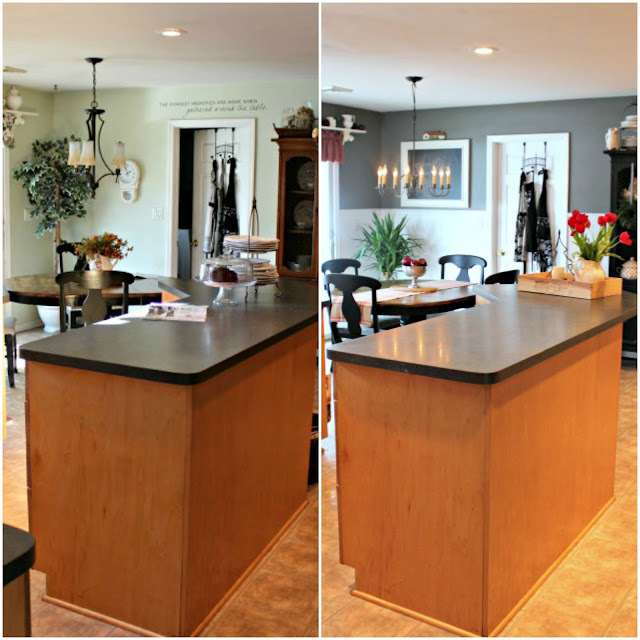 Using my favorite editing sites, I was able to create a couple of mock-ups to give myself an idea of what my vision will look like in the kitchen. Starting with the concept of 2 new light fixtures above the island, one of the potential lantern styles I am thinking of using is from World Market. I really like the fact that it is constructed of wood and has a criss-cross pattern. I spotted this beauty a few weeks ago when my sister Kim and I were out doing a little Sunday shopping in Montgomeryville, Pennsylvania. 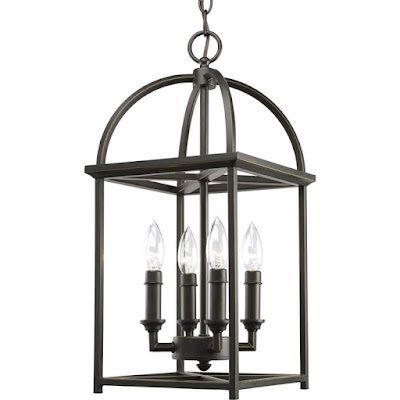 And after pricing out a number of different lantern fixtures, this one comes in pretty reasonably at $129. 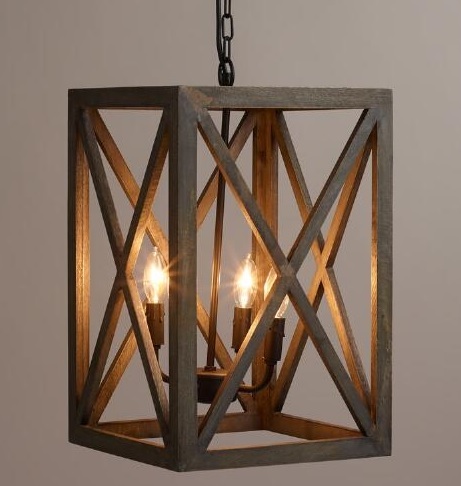 Another option for ceiling fixture is to go with a more traditional metal lantern. This particular light is from Lighting Direct and it's finish is in an antique bronze. It goes for $159. Now this is where Mr. RL comes in...I would love to see a new facade on the back of the island...something in the line of board and batten. Here are two mock ups of the refurbished kitchen island with each of the lighting choices. 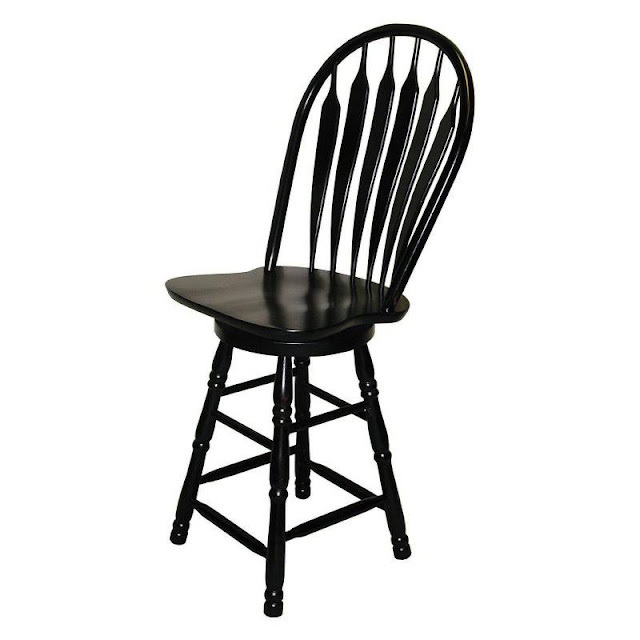 I'd also like to add a couple of Windsor style swivel bar stools to the end of the island. My goal is to have the lights up and the board and batten on the island before St. Patrick's day. It is just a matter of deciding on what lantern style to go with and getting Mr. RL pumped to start the island project. I wouldn't mind at all if you would like to weight in with your opinion on the ceiling lights...I think I know which way to go but am having a hard time committing. I would so welcome any help I can get! In the meantime hope you are all enjoying a great start to your week! Love the White Island, but to much lantern, maybe a bit simpler style....since you are doing 2 it would seem less cluttered with different ones. if you are wanting opinions on the two lantern styles you have selected I would go with your second choice since it incorporates the curves of the one you hung over your table. I like the board and batten. Your kitchen is definitely more polished and sophisticated in the grey with the white woodwork. Very beautiful! Oh I love how you mocked it up for the visuals - my daughter does that but I am much too lazy. I think this is an AWESOME look - it ties the dining area to the kitchen so nicely - the perfect juxtiposition! I love your choice of hanging lights, but I like the metal ones better than the wooden ones - but both are quite awesome. I am sooooo excited for you - what a wonderful change! So fresh and bright! AS pretty as the lanterns are, I believe that a pair of either of them would look too "heavy" as they are so large. I would keep looking. I know whatever you decide will be beautiful, as you have fantastic taste! 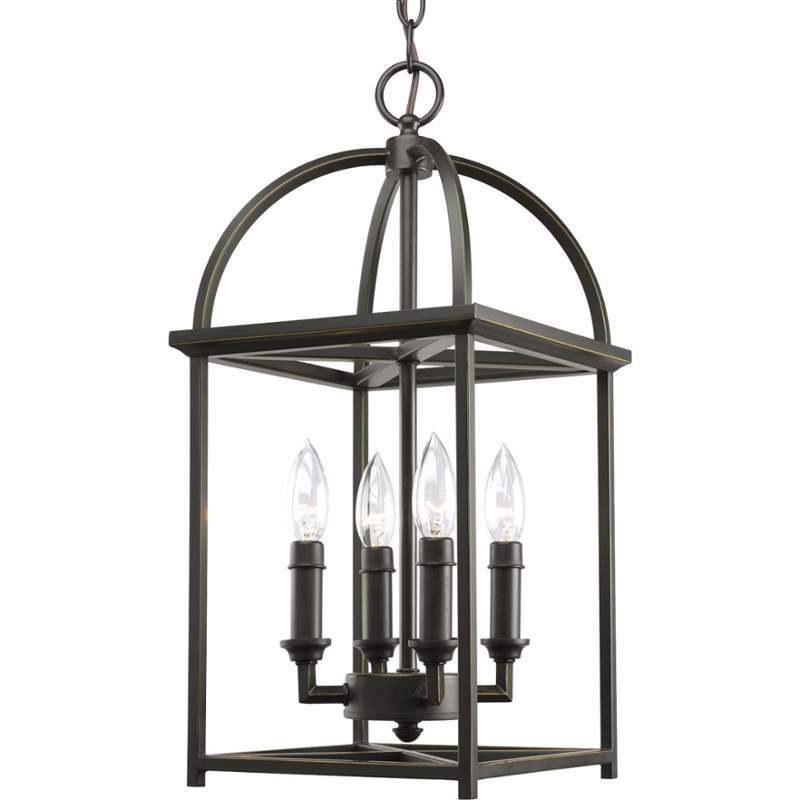 I would love to have the lantern from Lighting Direct in black. I chose that one cause I'm picturing my fingers in the other one trying to change the lightbulbs. Silly reason, maybe, but I do like the style of the other lantern. I'm lovin' your mock up of the new look, great job on that! I agree, even though I love the criss-cross lanterns, the curved ones look best with your existing chandy. 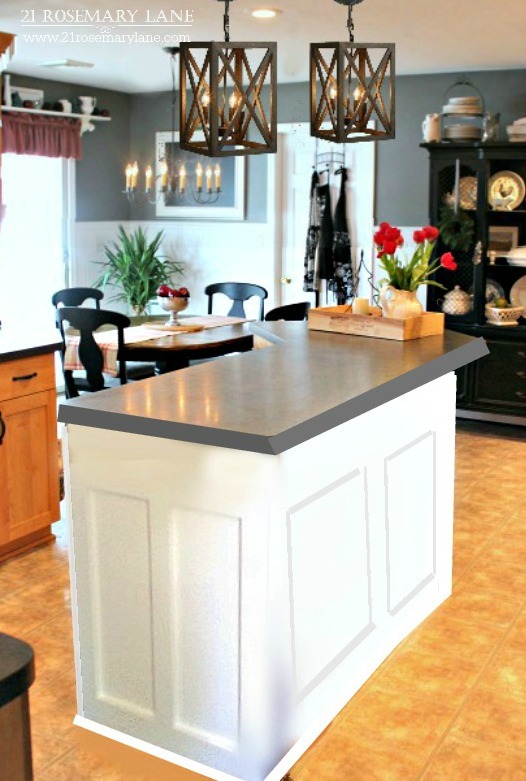 and oh wow, the gray wall color is amazing, I love how it coordinates with your countertops. It's looking fabulous, Barb! Like the second lights and that beautiful white island with those black chairs. That will look stunning and tie in with your dining room. Can hardly wait to see the final results. 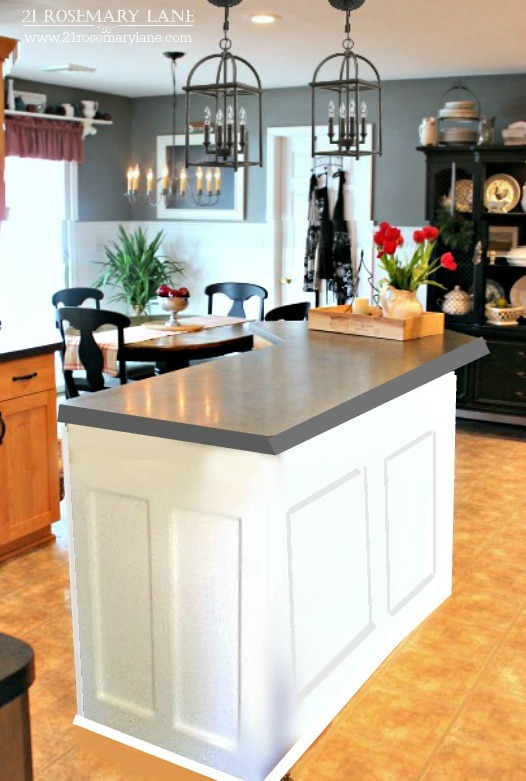 I love your mock up of your kitchen! The gray on the walls is really nice! I love the curved lanterns. Now would you consider a punch of color on your island? Just a thought. I know what ever you choose will be lovely. The island is very pretty but I have to agree with some of the others that two of the lanterns you've chosen are little overwhelming. Your house is so very pretty no matter what you do!!! Love looking at all your pretties! I was pleasantly surprised by the design of the room in your house. The interior design is amazing. Kitchen part, I am eager to implement the design in my home someday. May I know how to make a design like that? Lovely choices for your Kitchen, dear friend! I love a Timeless Classic Look! as well as the paneled inserts for the Kitchen island! Whatever choice you make is going to be spectacular! In the meanwhile, Happy Valentine's Day!